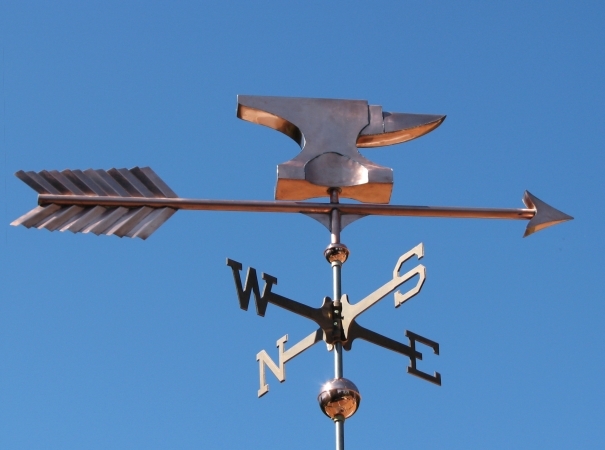 Saw your website and love it… I am looking to get a custom weathervane made. 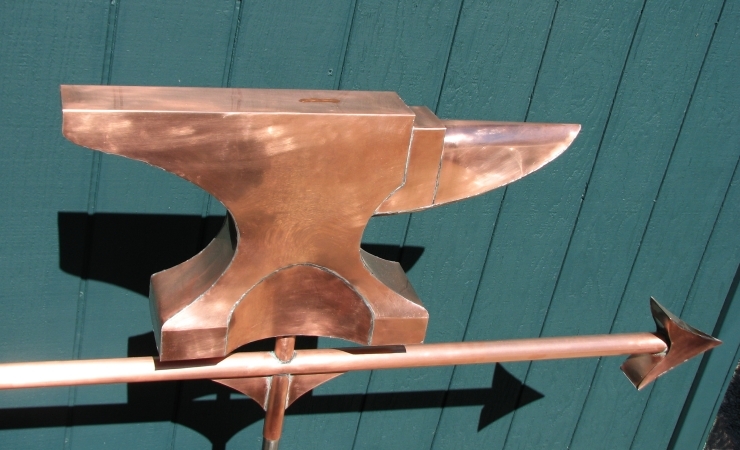 I have attached a picture of my childhood anvil weathervane we had on our barn. 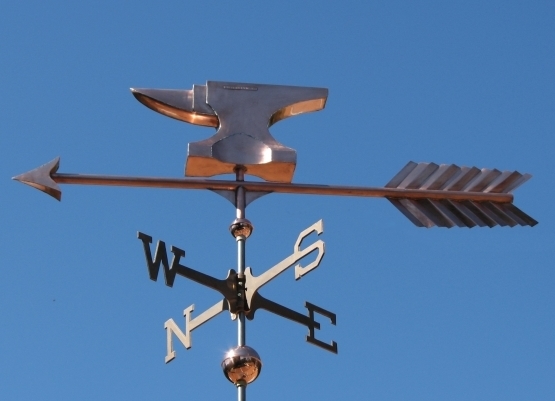 I am looking for the full length to be 72″ from tip of arrow to the end. 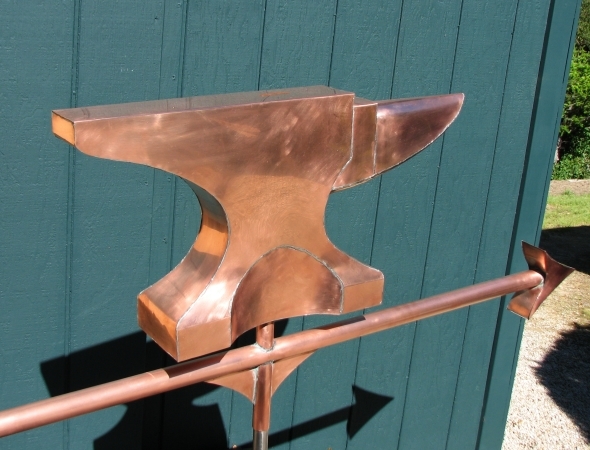 Then the anvil should just be proportional to the picture (roughly). Obviously you will use your experience and creativity as needed. Hope that makes sense. 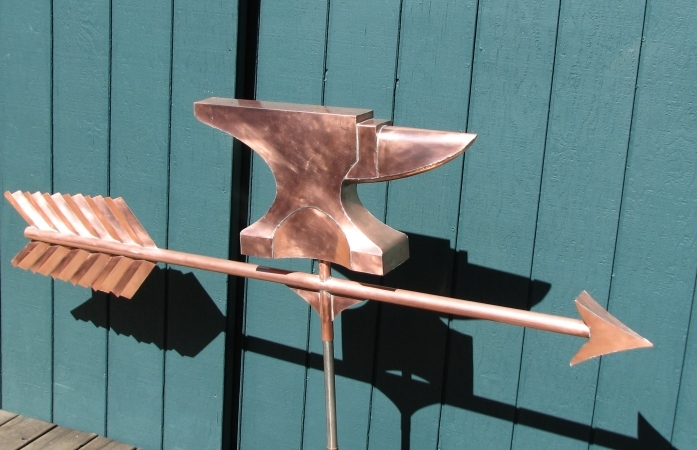 The picture at left shows the original weathervane he wanted replicated. We particularly enjoyed seeing the lovely patina it has developed over an extended time. 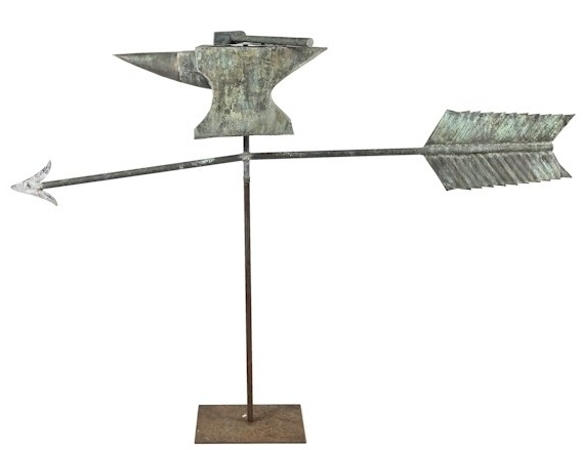 I apologize for this delayed response, but just wanted to thank you for our “Anvil” Weather Vane, it was finally installed this past Monday with no problems and we could not be more happy with the results. It is perfect… Thank you so much.